NEW APARTMENT! Pedestrian zone in heart of old town! Location could not be better! WE OFFER TRANSPORT FROM/TO AIRPORT! Romeo apartment in the same house as our other two apartments Julija and Filip. 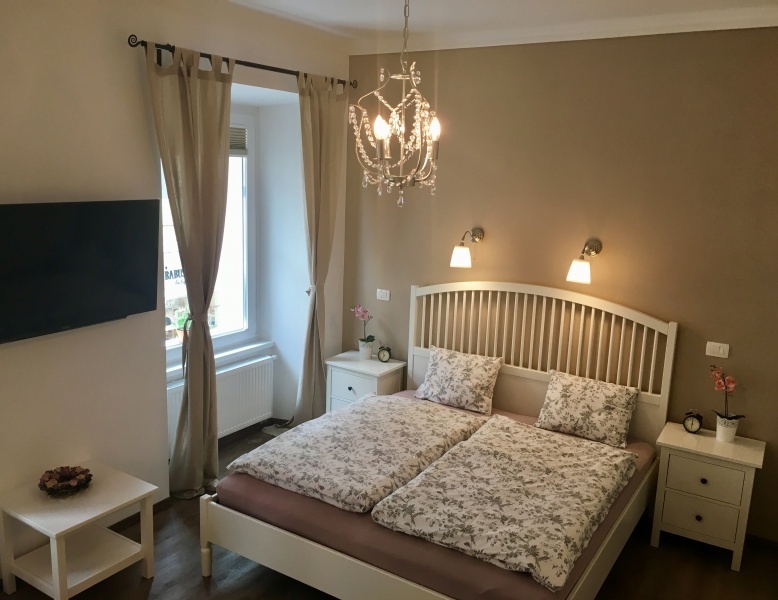 An elegant and comfortable 2 bedroom apartment in the heart of Old Town Center Ljubljana, bellow the castle. House in pedestrian zone is in the middle of the city sights! 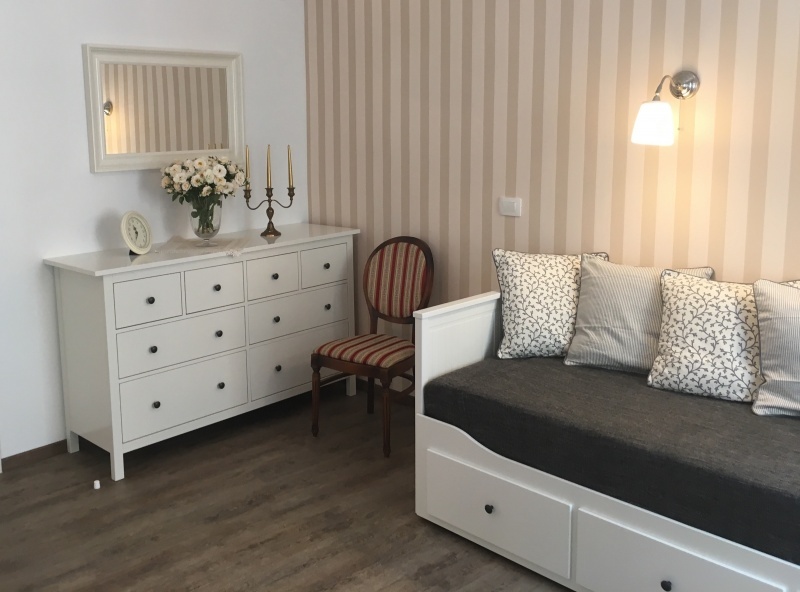 Romeo Apartment ( Julija and Filip apartments are in the same house) is NEW, RENOVATED in June 2017, located just below Ljubljana Castle in the pedestrian zone and offers an excellent vantage point to see the town's sights. The neighborhood is totaly friendly. Prešeren Square, the Triple Bridge, the Dragon Bridge... Everything is within a walking distance from the apartment! Behind our house, there is a narrow path leading to Ljubljana Castle. Right below us you can visit various traditional and modern cafés and restaurants. 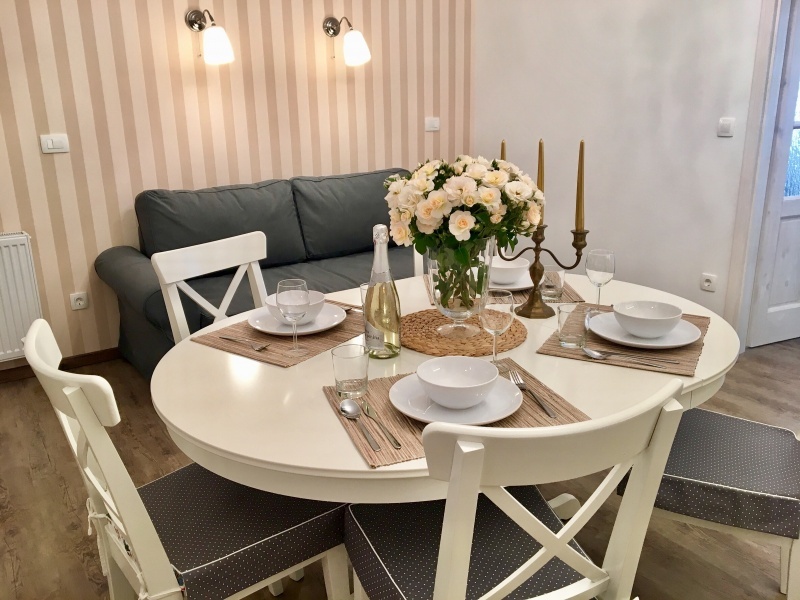 This apartment is on the first floor with a balcony and is fully renovated, so it comes with a new kitchen, 2 bedrooms, 2 bathrooms, new furniture and the necessary equipment. 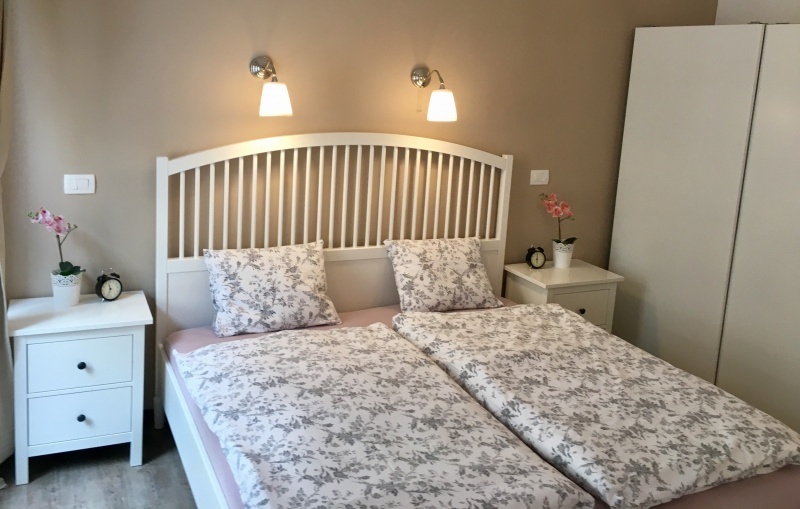 There are two bedrooms: one with a double bed (160 x 200 cm) and the second one with double bad (180 x 200 cm) and bed sofa for two (200 x 200). In the living room/kitchen there is a sofabed which can turn in the big bed for two ( 200 x 200 cm). Wireless internet is free of charge. You can park in the public car park NUK near the Outdoor theatre Križanke. The car park is between Emonska cesta Street and Zoisova cesta Street. It will then take you 6 minutes on foot to get to our house. The price for overnight parking from 7:00 p.m. to 7:00 a.m. is €1.8 and the price for one hour during the day is €1.2. It is in pedestrian cone in the heart of Old town below the castle! If you come by car, you can park in the public car park NUK near the Outdoor theatre Križanke. The car park is between Emonska cesta Street and Zoisova cesta Street. It will then take you 6 minutes on foot to get to our house. The price for overnight parking from 7:00 p.m. to 7:00 a.m. is €1.8 and the price for one hour during the day is €1.2. If you want for 2 minutes you can stop (not park!) on Levstikov Square ( 50 m from apartment) and drop out luggage with friends and children, driver than should go to park across the bridge on NUK parking (6 min walk to apartment). You are welcome to contact me any time (personally or by phone). We are here to help in any way or we will leave you to total privacy. For NEW YEAR holidays MINIMUM STAY is 4 nights! Thank you for understanding! Price does not include tourist tax! 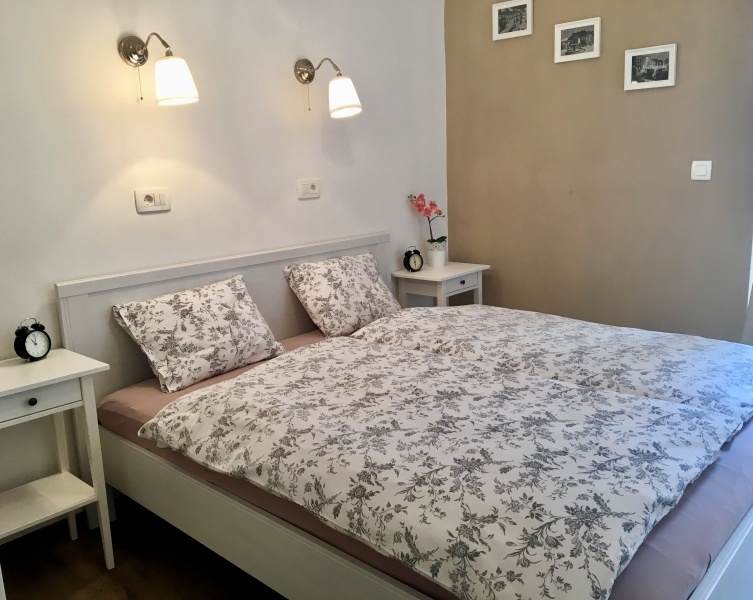 Look no further for a place to stay in Ljubljana. 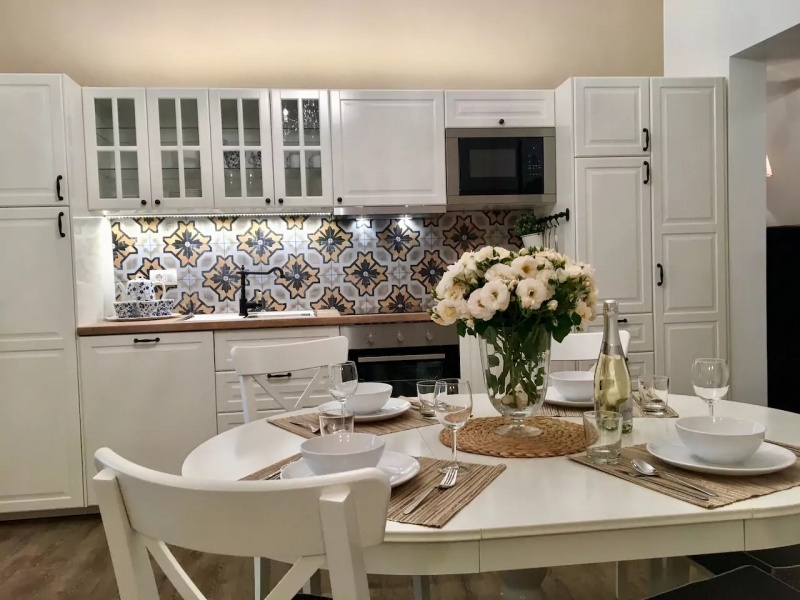 Great location: walking distance to all the cool bars, restaurants, festivals and fresh fruit and vegetable market. 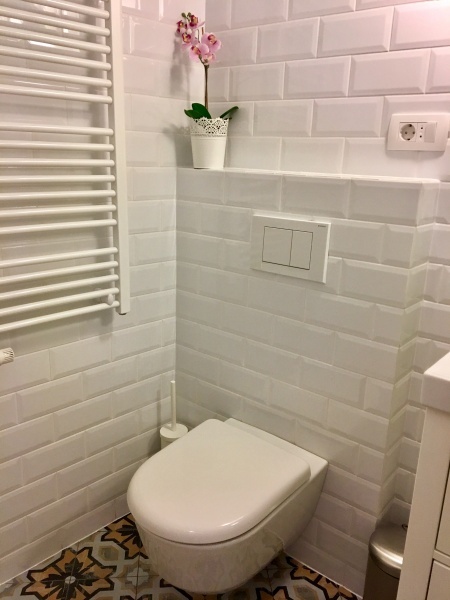 Great house: newly furnished, clean, tidy. Lively area during the day and quiet at night. Teja and her husband were super cool, friendly and nice. The apartment is in great central location, can't get any better in Ljubljana. And the apartment itself is very nice and charming. In reality it is bigger than it looks on the photos.